SIGN UP FOR OUR SPECIAL PROMOTIONS! Thank you so much for the gorgeous wedding cake. Not only was it beautiful but it was also so delicious! All of our guests commented on how good it was. Thanks so much for being part of our wedding day. Copyright © 2013. 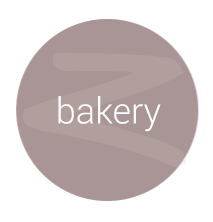 Chocolate Zen Bakery. All Rights Reserved. Designed by Winnipeg web hosting.